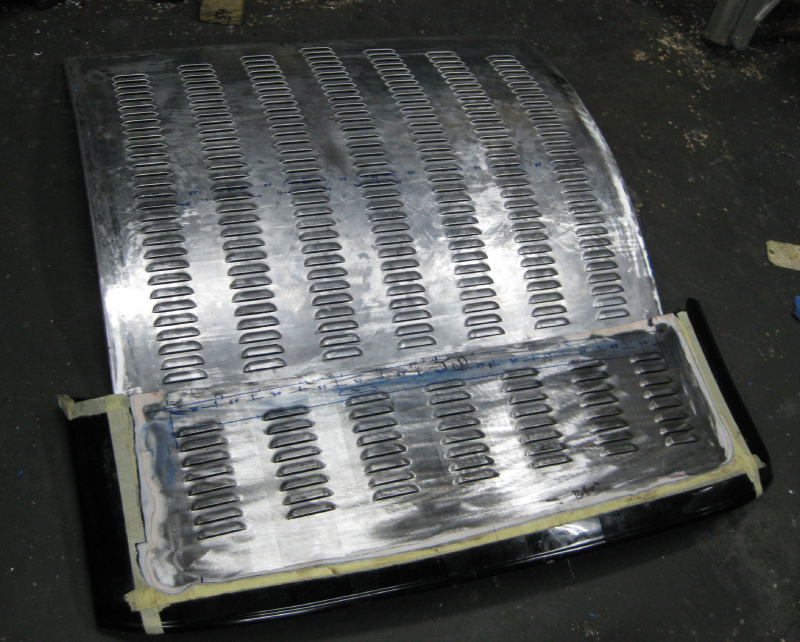 As of 2018 we now have capability to press mulitple row louvers into pre-existing panels which are bent or curved in both directions. 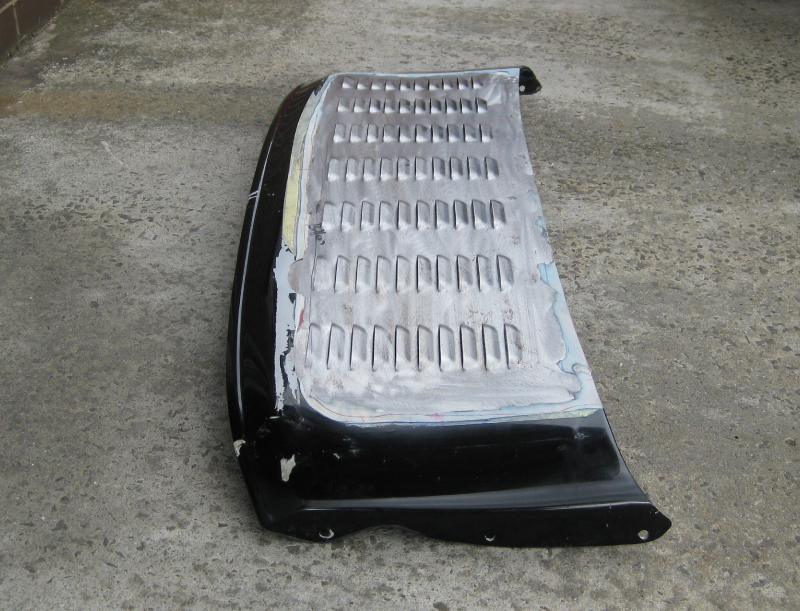 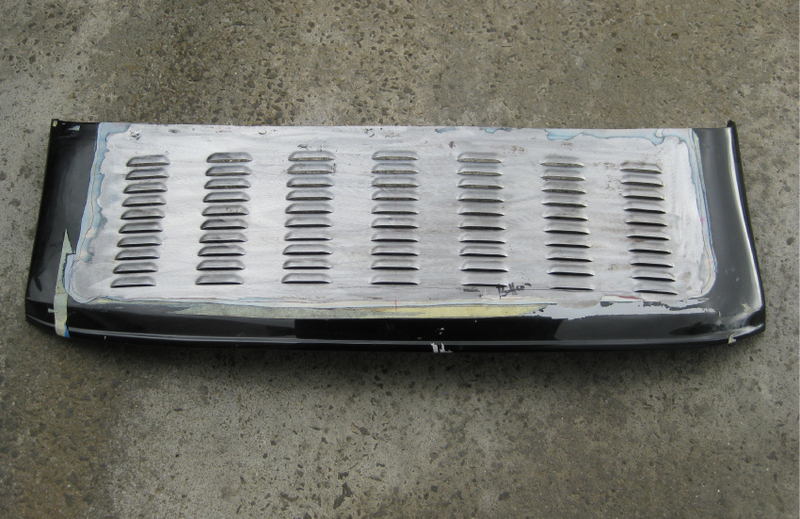 For example in Chev Hotrod rear boot panels. 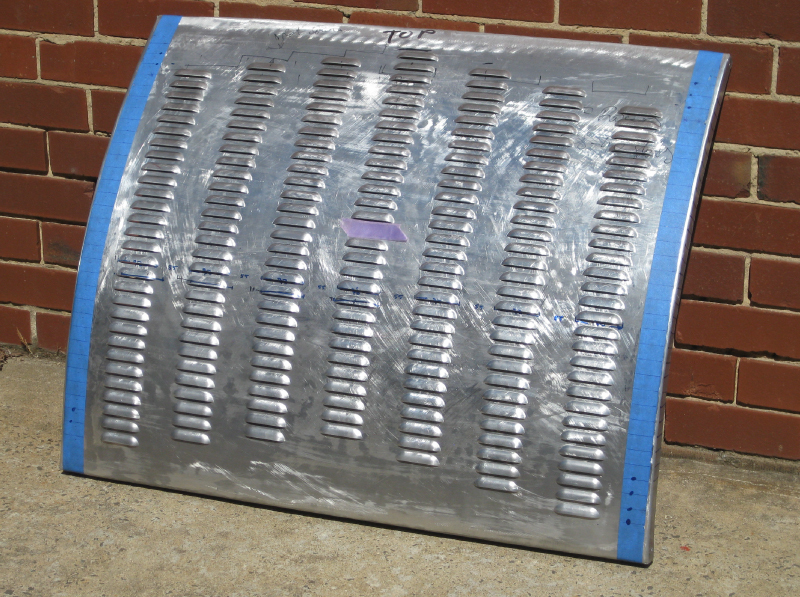 But any curved panel we should hopefully be able to press. 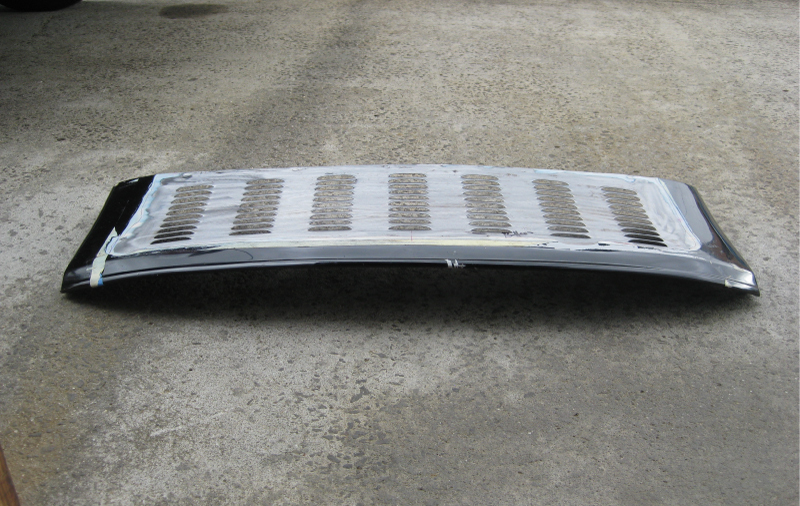 The louver panels themselves can be quite wide as seen below, and we have capacity to handle up to 2m wide panels. 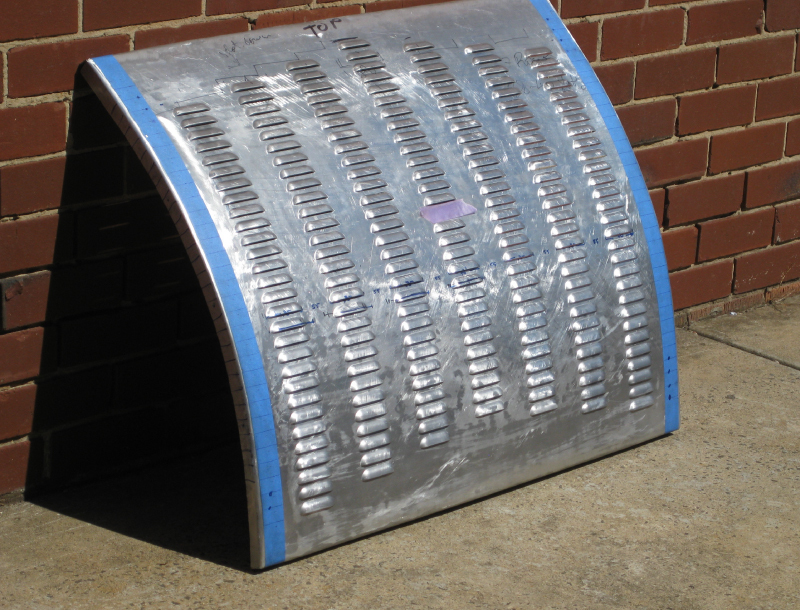 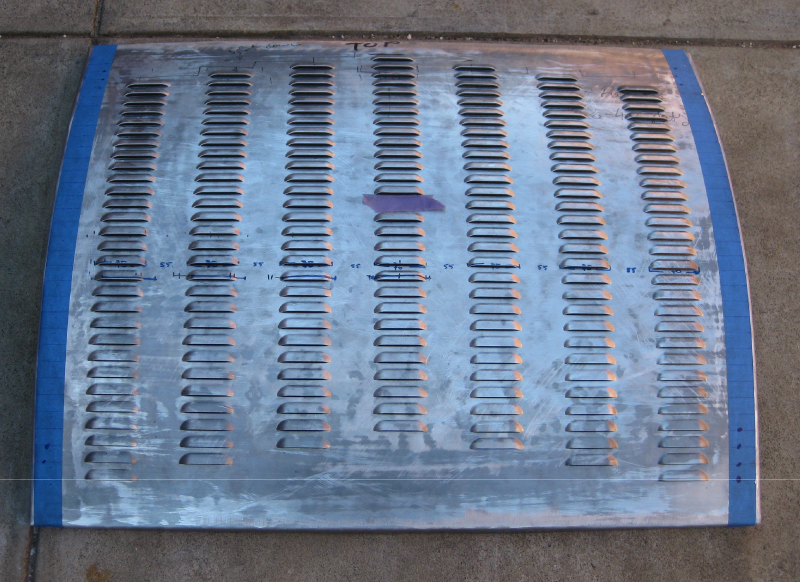 The louver vent below we 70mm wide x 15mm high.